I always wondered why some electricians carried shears. So I grabbed a pair and put them to use. For the price you can't go wrong. These have multiple functions and I use them all the time for a plethora of different tasks. Functionally, these seem excellent and consistent with Knipex quality. However the finger holes are quite small for average hands. Needed to return. 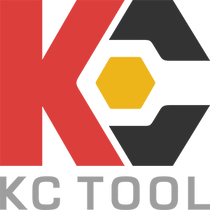 KC Tool always good to deal with on purchases and returns. I got these because they were on sale and they got me over the $50 point for free shipping. I am glad i did! I didn't expect to use them much, but they are already amazing. I highly recommend them to anyone who does any electrical work or just wants a good pair of compact scissors! They are just superb. Got these Electricians' Shears at a discounted price. They are razor sharp and leave an absolutely clean cut. KNIPEX never disappoints. Have yet to buy anything bad from Knipex. They make great products. The only negative is the cover/belt clip feels loose. I keep mine in a drawer, but may be an issue if you wore them around. They cut great which is why I bought them. One of the finest German made shears I ever owned and becoming my favorite. It cuts thru solid copper wire so effortlessly. The accompanying swivel holster is a bonus unit that is must have. So delighted this type of quality made tools are available here in the US of A. Thank you for your super fast delivery as well. The shears themselves are very well made and if this review was just on them it would be 5/5, However the belt sheath has a somewhat loose fit that allows them to rattle and doesn't secure the shears as well as I'd like. These were bought on a whim, worth every cent. These shears are incredibly sharp and fit in your hand quite well. I have fairly large hands and these are comfortable and have good control. The handle might be a bit small if gloved hands are required. Overall a great set of utility shears.